As the White House gets ready for President Obama's last State of the Union address on Tuesday, senior administrators are promising a "non-traditional" speech to signify the beginning of the end for the Obama administration. "Non-traditional" is a pretty good descriptor of Obama's entire time in office. Obama has pulled off one of the most influential presidencies in modern history — from the Affordable Care Act to the repeal of the "Don't Ask, Don't Tell" policy, not to mention his legacy as the first African American president. While some are already mourning the end of a great presidency, Obama isn't done yet. President Obama clearly sees that there's still work to be done, and time to do it before he leaves office. Obama has committed to an agenda full of tough domestic and foreign policy issues for 2016, and has already kicked into high gear just a few days after the new year. As Obama pointed out in his 2015 SOTU speech, he has no more campaigns to run, so he's going to use up all the political capital he has tackling some of the toughest issues out there. 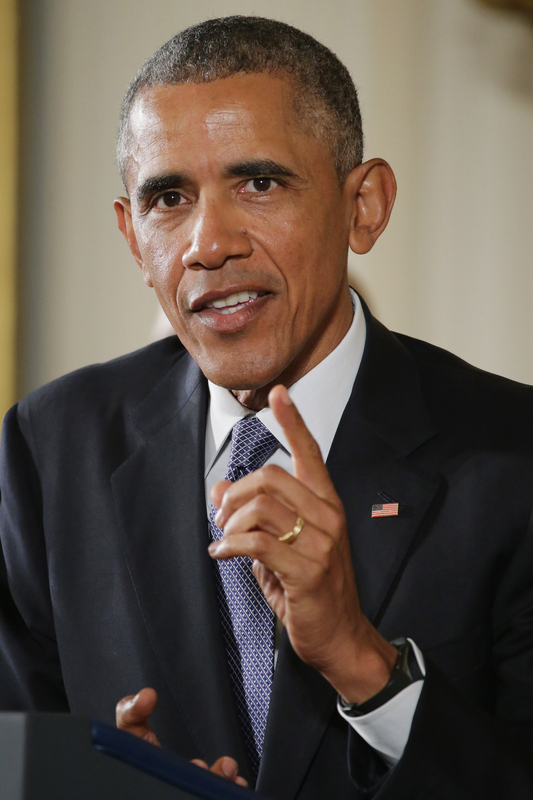 Obama's plans for 2016 address some of the most critical problems facing the United States today. Obama hit the ground running in the new year with a powerful and emotional speech about the need for common-sense gun control. His announcement of impending executive orders to close the gun show loophole and implement universal background checks has already been met with resistance from conservatives, but Obama's determination to confront this problem is a strong sign that he will be able to make impressionable changes to gun control before his time in office is over. Obama also addressed the need for better treatment of mental illness across the nation during the speech on Tuesday, promising $500 million for mental health care and mental health information for conducting background checks. Between the Paris climate change summit and his awesome guest appearance on Running Wild with Bear Grylls, Obama ended 2015 with a lot of talk about climate change. In the new year, Obama will focus on renewable energy and promoting clean jobs throughout the United States. Following the San Bernardino attacks in December, Obama made an historic national address from the Oval Office to announce measures being taken to defeat ISIS. Those operations are continuing into 2016, and the results are already encouraging. Obama's 2016 budget includes over $100 million to fight substance abuse, which kills over 20,000 Americans every year. Higher education in America is falling behind other countries, but President Obama is working to change that with a plan to provide high achieving students with two years of free community college education. It'll cost about $1.4 billion this year, which might seem like a huge amount of money, but it's only about 0.035% of the total fiscal budget. It seems President Obama isn't planning on wasting any of his remaining days in office. As the countdown on his presidency begins, Obama is proving just as motivated and dedicated to growth and change for the American people as he has been for the last seven years.